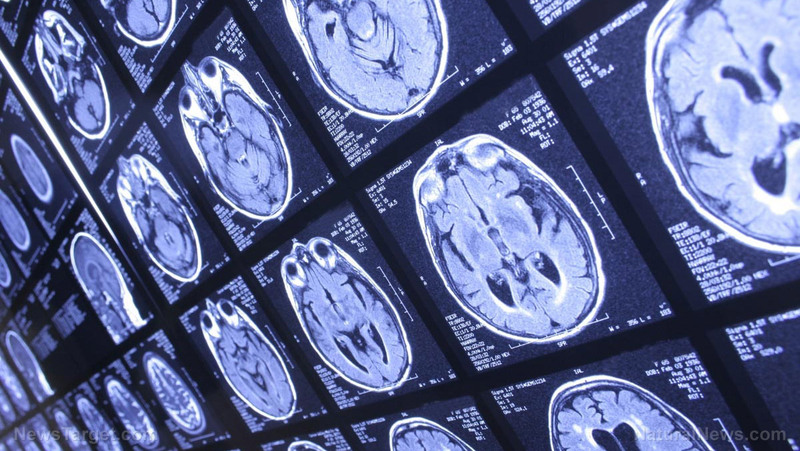 (Natural News) A recent study published in the Journal of the American Medical Association found that 94 percent of Americans who were exposed to leaded gasoline in childhood may show signs of lower IQ scores and socioeconomic status in adulthood. 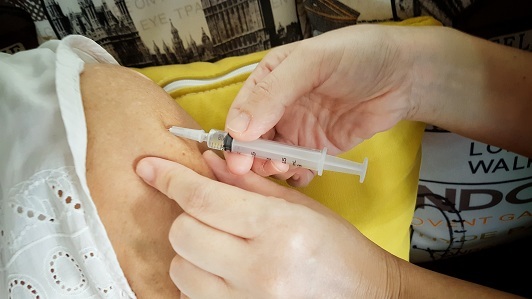 Despite the flu season finally winding down and overall cases declining, the CDC reports that infections of the less common “Influenza B” strain are on the rise, surpassing “Influenza A” in their most recent weekly Influenza Surveillance Report. This season’s strains are a mixture of the H3N2 and H1N1 “A” strains and the now-resurgent “B” strain, which can be particularly severe on young children. The March 23 release shows that cases of the B-strain comprised nearly 60% of new cases across the country – as reported during the week of March 17. This year there have been 26,694 hospitalizations for flu-related symptoms, nearly 80% of which have been Influenza A – however the late-season resurgence of Influenza B should be of particular concern to parents of younger children as well as caretakers. 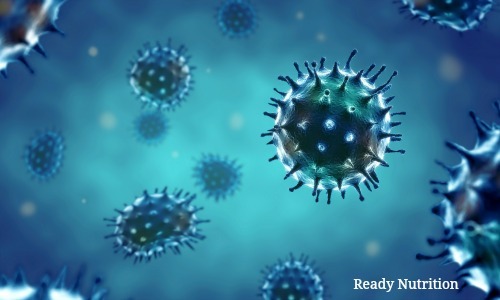 “We often see a wave of influenza B during seasons when influenza A H3N2 was the predominant virus earlier in the season. Unfortunately, we don’t know what the influenza B wave will look like,” said Norland, who adds that it’s possible to get sick with multiple strains of the flu within the same season. 133 children have died so far from flu-related illnesses during the 2017-2018 season. Among adults, 7.8% of deaths reported for the week were flu related – noting a two week delay in the data. The CDC had estimated a threshold of 7.4%. Before the 1970s, the United States and other nuclear-armed countries conducted more than 500 atomic weapons tests in the atmosphere. During these tests, radioactive debris and gases were flung up into the atmosphere and traveled around the world. The Centers for Disease Control and Prevention (CDC) has stated that people around the world have had exposure to radioactive fallout from these nuclear tests. Even today, radioactive fallout is present in many parts of the world, but in small amounts. The costs associated with nuclear tests for any country have been quite devastating for surrounding communities. Take, for instance, the Enewetak Atoll, a large coral atoll of 40 islands in the Pacific Ocean, where the U.S. government detonated 30 megatons of weapons – equivalent to 2,000 Hiroshima blasts – between 1948 and 1958. In total, sixty-seven nuclear bombs detonated on Enewetak Atoll and Bikini Atoll of the Marshall Islands in the Pacific Ocean. Beginning in 1977, more than 8,000 people worked to clean up the Marshall Islands, shifting 110,000 cubic yards of contaminated soil and debris into a blast crater. The dome of death spans 350-feet across with an 18-inch concrete cap covering radioactive debris from 12-years of U.S. government nuclear tests. Zambia has been hard hit with over 2000 cases of cholera with close to 50 deaths. The university is closed as well as other institutions. It has migrated from the urban areas to the suburban areas. The armed forces have been called out to help. Tanzania has shut its borders with Zambia due to this. Kenya has had 4 kid cases of hospitalization. Influenza strains are hitting geographic regions. The H3n2 is has hit Australia very hard and is currently hitting the UK. The US is also being infected. India has the H1N1 variant hitting them hard. The avian flu has led to the culling of birds in the Middle East particularly Egypt and Iran. Saudia Arabia just had 6 new cases. Russia and Swiss poultry also have cases. China has Influenza B hitting them hard but cannot confirm type nor number of cases and comparison numbers. When it rains…. it pours. REPLY: The influenza virus changes its genetic makeup every year and complies with guess what – cyclical analysis! This constantly changing virus presents a cyclical challenge to medical science, and consequently, this makes it impossible to create a single vaccine to prevent the disease for life. The World Health Organization (WHO) and the Centers for Disease Control and Prevention (CDC) monitor each new strain of influenza virus as it appears. They gather data and then try to predict which may be the predominant virus in the following year’s flu season. Scientists then use this data to develop a vaccine each year against the specific virus they predict will predominate. 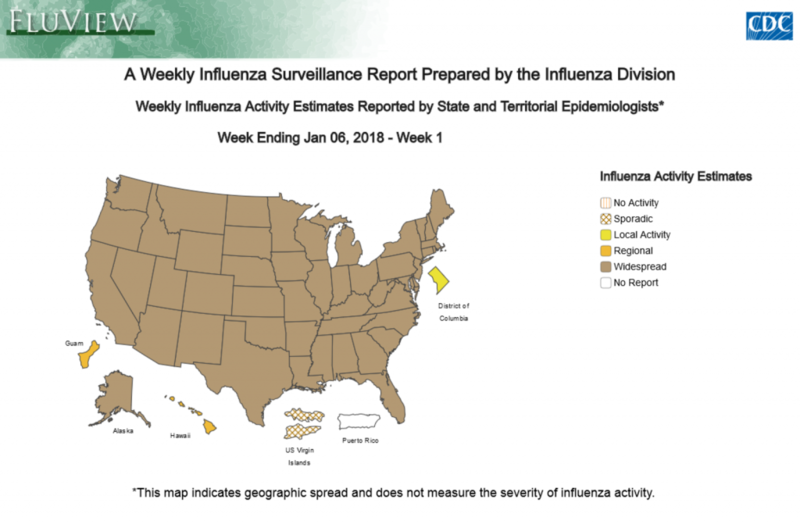 A weekly Influenza Surveillance Report prepared by the Influenza Division Weekly Influenza Activity Estimates reported by State and Territorial Epidemiologists warns of a “widespread” breakout across the entire United States for the week ending Jan 06, 2018. The originally scheduled event, titled “Public Health Response to a Nuclear Detonation,” was supposed to provide an educational framework for Americans of what do in the event of a nuclear bomb detonation. Earlier this month, the hysteria around nuclear war flourished when President Trump tweeted about the his “nuclear button” size while comparing it to North Korean Leader Kim Jong Un’s button. In response, Americans panicked and bought anti-radiation pills in droves, as drug sales skyrocketed for potassium iodide tablets. In what may be one of the most severe flu seasons in recent history, the CDC has warned more is to come. This week, CDC officials say due to the influx of the widespread flu season, there are shortages of the drug used to treat the flu. While the CDC is working to address the “spot shortages”, it does not bode well for the public who are already dealing with a severe flu season and one that could potentially get worse with new flu strains emerging. That may already be happening. The CDC is starting to see infections caused by the H1N1 strain of the virus in states grappling with high levels of the H3N2 strain, the predominant version this season. In addition, Jernigan said, yet another type of flu caused by influenza B viruses is expected to show up later in the season. We are waging war. We are the Nation of War. We destroy. We kill. Everyone fears us. But our fighting forces—and their attendant industries which manufacture the bombs, bullets, and ballistic delivery devices—also wage a war on the clean air, clean water, and clean soil many Americans falsely regard as protected by legislation fought for by those trying to protect our environment. 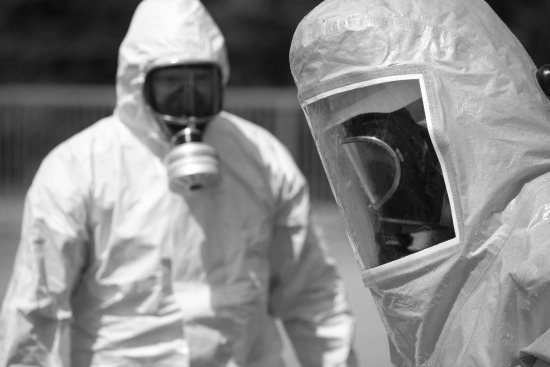 * New Hampshire: The Centers for Disease Control and Prevention is stepping in to monitor the health and toxic exposure of those living near or on the Portsmouth, New Hampshire former US Pease Air Force base after tests showed terrible contamination. * Kentucky: There is an ongoing effort to clean up the site of the uranium enrichment facility in Kentucky, the Paducah Gaseous Diffusion Plant. It is costing hundreds of millions of dollars and the feds are slowly trying to get back a bit of it from responsible parties with settlements, the most recent a $5 million deal with Lockheed Martin for its contamination of the site. * Maryland: The Army is claiming immunity from its killer pollution from Fort Detrick, with the Army as defendant in a class action law suit claiming numerous wrongful deaths from the site where toxins, biological weapons, radiological materials and hazardous waste contaminated the area for decades. US Attorney U.S. Attorney “Rod Rosenstein, representing the Army’s interests, asked Monday that the case be dismissed. 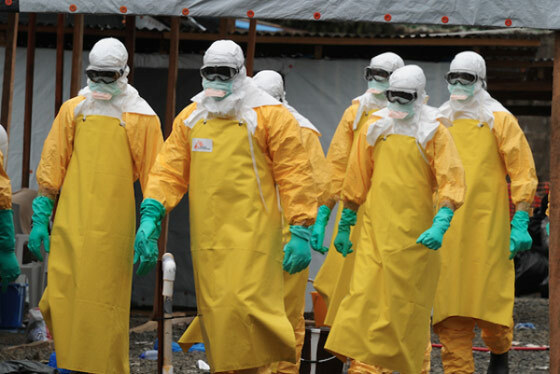 Ebola: Is it Already Here ? The steep decline in case incidence nationally in Sierra Leone from December until the end of January has halted. Transmission remains widespread, with 8 districts reporting new confirmed cases. A significant proportion of cases are still arising from unknown chains of transmission. The report covers the 7days up to the 22nd February and was published on March 4th. The CDC lists almost 24,000 cases and almost 10,000 deaths and both organisations accept that many of the cases have an unknown outcome, that is, they have no idea if the victims lived or died which could mean the death rate from the outbreak is far higher than the official figures suggest. So why is this not in the news? Have mainstream media outlets been ‘advised’ to reel in their coverage? I worked for many years in the National Health service here in the UK, and I have been told, several times, by several people that are still working in the NHS that Ebola cases are currently being treated in UK and US hospitals, and that this has been the case in the US since the death of Thomas Duncan in October of last year. The first UK case arrived a short time later and the patient died. William Pooley, the public face of Ebola in the UK was apparently not the first case as stated but was the first survivor and he also returned to West Africa, which made him the ideal poster boy for the ‘we cured Ebola’ brigade. I can’t verify that hospitals in the UK and the USA, and in a single instance Australia are reporting Ebola cases as malaria cases to avoid a pubic scrutiny in their handling of Ebola cases. The Australian case was listed as Dengue fever according to these sources. » Doctors: Potential Ebola Cases Still ‘Covered Up By CDC’ Alex Jones’ Infowars: There’s a war on for your mind! » Doctors: Potential Ebola Cases Still ‘Covered Up By CDC’ Alex Jones’ Infowars: There’s a war on for your mind!.